Budapest is a fascinating city, with several distinct districts to explore and enjoy, ensuring that you experience everything the city has to offer. This huge city is the capital of Hungary, and has a vibrant atmosphere making it appealing for the younger generations. However, there is also a huge array of sights, and historical buildings to explore. Over two million visitors explore Budapest and once you have been to the city you will understand why people return year after year. There are 23 different districts to explore, which may seem overwhelming, but, these are divided into equal parts of Buda and Pest. Buda is considered the smaller of the areas, and has many fascinating things to see. Pest is located to the east and has a livelier city atmosphere, which attracts the younger generations, but is as exciting to explore. Many of the districts throughout the city are amazing to visit, and offer a vast historical core. The central districts are the most popular with the tourists, however, if you can explore further afield, you will be pleasantly surprised. 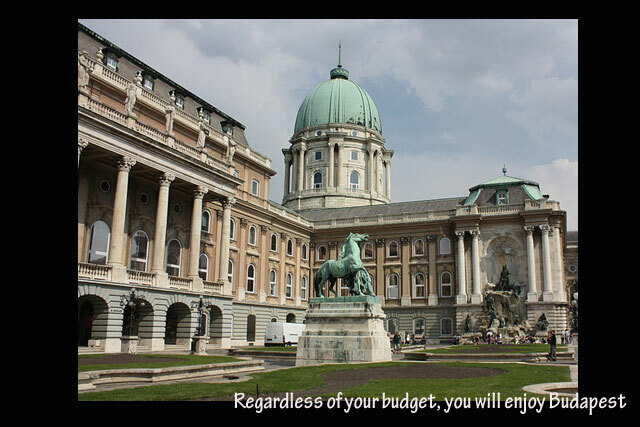 Regardless of your budget, you will enjoy Budapest, and the quality of life is considered to be incredibly high. With fantastic cuisine, excellent culture, and a fascinating vibe, you will soon understand why people love this city. Prices are far lower than other European cities, but this is due to the wages also being far lower. One of the best places to stay would be the Kempinski Hotel Corvinus, wherein they offer a wide array of packages and deals that will suit each traveler's accommodation needs. Getting about in the city is straightforward, and once you find your bearings, you can easily navigate throughout the streets. The River Danube splits the city, and this can be the perfect landmark for you to navigate. The layout of the roads and districts are logical, and there are many fantastic landmarks to look out for when exploring. There are several bridges that you can use to cross back and forth over the river, and once you begin to explore you will see how straightforward it is for everyone. Exploring on foot is the best way, but you can also take advantage of the public transport on offer. Cycling is an option, but there are no cycle lanes, which makes it a little dangerous. Many of the best things to see are located on the Buda side of the city, and are concentrated on Castle Hill. The Royal Place is considered to be one of the most popular attractions in the city, and has many years of fascinating history. The palace has been destroyed and rebuilt over six times, and today some of the building is used as a museum. The Fishermans Bastion overlooks the Danube, and is an amazing place to sightsee, and explore the local area. Built in 1905 this amazing building has seven towers which symbolize the seven clan leaders of Magyar. 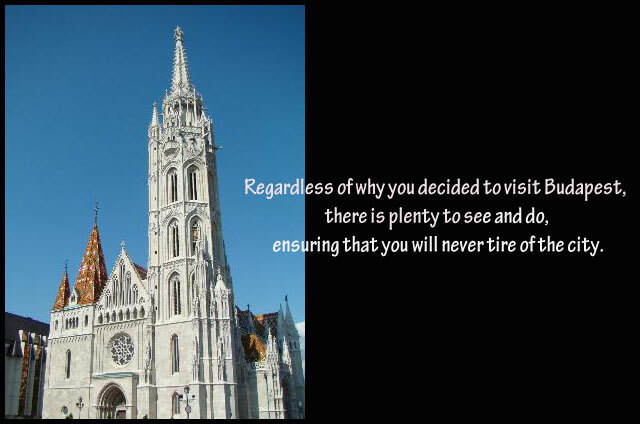 Alongside this tower you may also want to venture into the Matthias Church, which offers unique glass walls. Regardless of why you decided to visit Budapest, there is plenty to see and do, ensuring that you will never tire of the city. You can explore the different historical buildings all day, and party all night with the locals. There are numerous restaurants, bars and cafes to relax within, enjoying the local hospitality, and excellent atmosphere.